Diane Kelly » Announcing the Pet Costume Contest Winners! Announcing the Pet Costume Contest Winners! 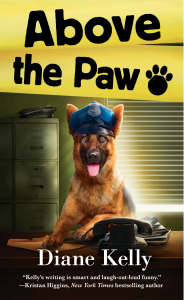 These winners will receive an advanced reading copy of Above the Paw and some fun swag! Consolation prizes were awarded to all participants. Thanks to everyone who entered for sharing the cute pics of your pets! Thank you so much, can’t believe I won and so excited to start reading this book.